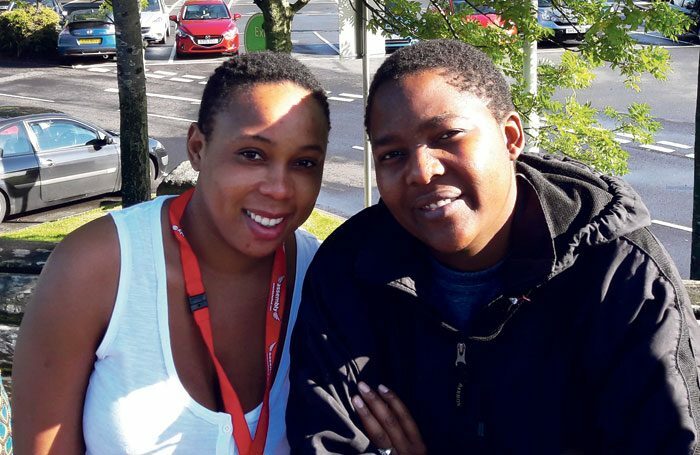 Getrude Vimbayi Munhamo and Dalma Chiwereva of Zimbabwe’s Rooftop Promotions tell Nick Awde about performing a show for the first time at the Edinburgh Festival Fringe. How is Edinburgh different from other fringes? Munhamo: Edinburgh differs greatly from our Zimbabwean theatre circle: the fringe is a hub of excellence, a springboard to a whole new aspect in the arts. No one discourages you here; rather you are embraced, appreciated and celebrated for your work and choice of art. Back home, this culture of art is rare. A few people are taking the lead in bringing change to our own industry, like our producers Rooftop Promotions. Last year the company empowered the cause by building the first theatre – Theatre in the Park – in Harare after more than 60 years without a theatre and arts space open to the public. Are Edinburgh audiences different to those in Zimbabwe? Chiwereva: Audiences at Edinburgh differ in a big way in the sense that back home, our audiences have a way of brushing away social issues like the ones we present in Lamentations. Yet in Edinburgh it has been very different. The audiences here take those issues seriously and some of them have even shed a few tears – how people can be so different is mind-blowing for me. How does a festival compare with a ‘normal’ theatre run? Munhamo: You need triple adrenaline for a festival performance because someone who can give you your next break may be in the audience – the scary bit is, you have no idea who it is. Festivals like Edinburgh are a breeding ground for new opportunities so you cannot afford to go a degree lower. Chiwereva: Festivals stand out because they can be so diverse, attracting different people from different nations, whereas a regular theatre tends to have a certain limited audience. What do you gain professionally from the fringe? Munhamo: Just knowing l have performed at such a prestigious platform is mileage enough back home. As an actor and upcoming writer, I’ve already been exposed to so much at Edinburgh that I feel better equipped to create and perform. My CV is now beefed up to help me with other productions in Zimbabwe. Chiwereva: Edinburgh will definitely be a major catalyst for improving my skills and impacting lives by giving a voice to Africa and Zimbabwe through the empowerment of the arts that I have seen in Edinburgh. Munhamo: Edinburgh is definitely worth investing in. My mentor always told me: “You can never feature in a future you have never invested in.” The most valuable thing to me at Edinburgh is watching as many shows as I can, attending workshops, networking and – most of all – performing. Edinburgh has it all. It’s up to you whether you sit back or jump in. Chiwereva: Edinburgh has given me the inspiration to go and do more work on improving my craft and to have an impact on my peers back home. The most value of the fringe to me is networking and watching other shows – an experience that is opening doors for me as an artist.